An investment scheme wherein a group of young men invest money in a fund, and the last man living takes all. The Wrong Box is a Victorian black comedy based on the novel of the same name by Robert Louis Stevenson and his stepson, Lloyd Osbourne, which centers around the concept of a 'tontine,' a bizarre investment scheme wherein a group of young men invest money in a fund, and the last man living takes all. The story of The Wrong Box is about the last two living members of a tontine, and their younger relatives - relatives who would really like to inherit that money. These relatives include a bitter 40-year old orphan named Morris, who was robbed by his uncle of seven thousand eight hundred pounds when he was only a boy at school, and is desperate to win the tontine and thus right the wrongs he feels the world has done him. 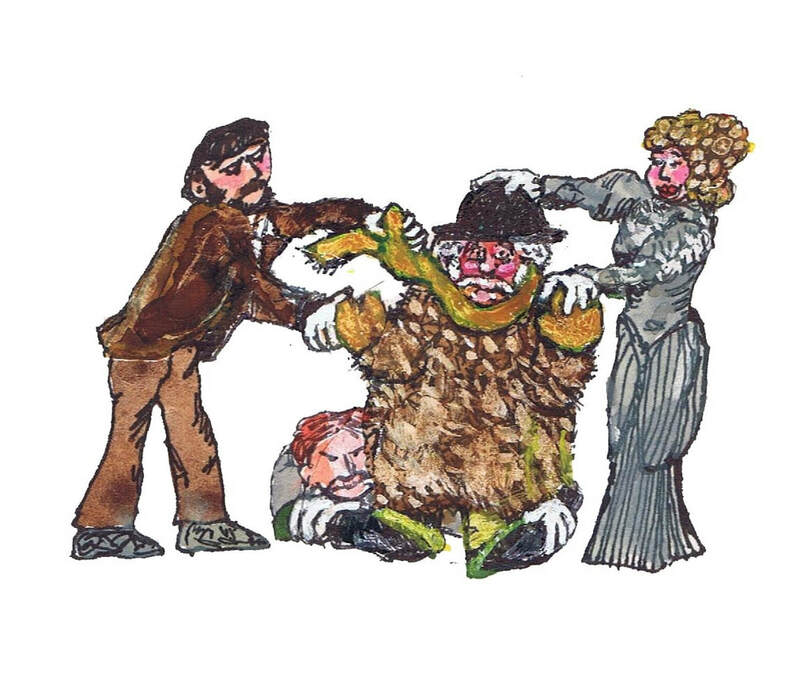 His uncle Joseph is one of the last two members of the tontine, so Morris is willing to go to any length to keep his uncle alive long enough for him to win. Things go south for Morris, though, when they are both involved in a train wreck, and Morris finds a dead body which he thinks is his uncle. He decides to hide the death, puts the body in a barrel to ship up to London, and determines to do whatever it takes to keep up the charade that Uncle Joseph is still alive long enough to win the tontine. 2018: Selected as a participant in Apples and Oranges Arts THEatre ACCELERATOR program. Kit Goldstein Grant is a prize-winning New York City-based composer, lyricist and librettist. Her musicals have been seen in South Africa (THE NOSE, Anex Theatre Productions) and in New York at The Players Theatre (WHERE ANGELS FEAR TO TREAD, THML Theater), the Master Theater (THE NOSE), the Midtown International Theater Festival (THE NOSE, nominee Best Musical), the Strawberry One-Act Festival (THE COMMUTERS, Calendar Boys Productions, nominee Best Musical), The Gallery Players (THE GIANT HOAX), the Emerging Artists Theatre New Work Series, the Musical Theatre Factory, and the National Opera Center (THE WRONG BOX). Five of her musicals for young audiences have toured schools with the Schenectady Theatre for Children, including IT’S RAINING TAMALES!, which is published by YouthPLAYS. Kit has studied at Juilliard and the Tony-Award winning BMI Musical Theatre Writing Workshop, and she is a member of The Dramatists Guild and ASCAP.